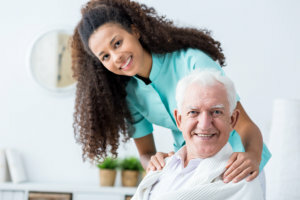 Take comfort that Racheal Home Health, Inc. will provide you with quality care through qualified caregiving and nursing staff. Overall health also co-relates with emotions. We will accompany you or your loved one at home to help avoid loneliness which can affect your well-being. Chores at home can take up most of your time and energy. We will do the chores for you so that you can relax, avoid physical injuries and make time for other things that are important to you. Living with a life-limiting illness can be a challenge. Let us help you care for you or your loved one at this difficult stage. Your hygiene is essential for good health. We will assist you with taking care of yourself and help you with your personal hygiene. Medical conditions need medical care. Our skilled nurses will be there to help you or your loved one manage such medical conditions. When you are unable to take food or medications orally, IV therapy is necessary. Our nurses are licensed, experienced and qualified to facilitate IV therapies. The services you will receive from our caregivers may include one or more of the items listed above. This will depend on your unique care plan because it is designed with consideration to your specific needs. For an evaluation or for further information, please contact us at 717-747-1159.